Nicole has been a part of the Harcourts Redcliffe team since 2009, witnessing quite a lot of change not just at Harcourts but in the Real Estate Industry as a whole since this time. 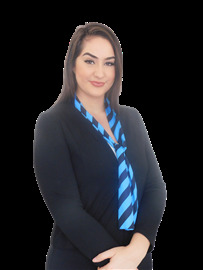 She is committed and passionate about the service the office delivers to all customers and clients, sellers, buyers, landlords, tenants and tradespeople alike. Nicole has been living on the Peninsula for more than 20 years and loves the lifestyle it offers for her growing family. She loves everything that is on offer here with so many choices for education, sports and community involvement and all the services and facilities so close by. Steve Hawley, a local real estate agent promoting positive growth in his neighbourhood. “I have always been involved in the building and housing industries, watching Brisbane’s north continue to grow and prove to be a resilient market has been the driving factor in my decision to build my real estate business here.” Steve’s high work ethic saw him progress in his previous career to specialist fields that meant his skills were in demand throughout Queensland. It’s this dedication that Steve brings to real estate. With a consistent focus on keeping his clients informed and always striving to deliver the best service, his aim is to deliver the results that benefit his customers. “I have purchased, sold and invested in property, I know how I like to be treated in these transactions and it is this high level of communication, service and area knowledge that I want to bring to my clients.” On joining the team at Harcourts, Steve has immersed himself into a culture of professionalism, respect and an assurance to provide the best for their clients. Steve’s clients often remark about his proficient market knowledge and willingness to strive to achieve the best result for his clients. In a progressive career with the organisation, Tara Hawley has gained exposure in roles that not only make her familiar with the operations of the franchise, but also within the network offices. Known as one that provides solutions, she has provided training and guidance to offices that gives them a structure to provide efficiency and transparency. This extensive experience with the Harcourts group and contact with offices throughout Queensland has provided Tara with not only a detailed knowledge about our systems and support, but also a fine tuned sense of how our services can take a real estate business to the next level. As the Business Owner, she works for and with her staff to provide the most effective methods to ensure their success. As a multi award winning agent, Jenny knows exactly how to market properties effectively to ensure the best outcome for her sellers. Jenny is one of the Peninsula's very best agents with consistent results that make her one of the elite agents in the region. Jenny’s natural enthusiasm for the Peninsula is obvious. As a local, she has a thorough, first-hand understanding of the local market and the people who live there. Jenny shares the vision and unparalleled levels of service that have become synonymous with the Harcourts brand. She thrives on the negotiation process and prides herself on her willingness to go the extra mile for her clients. Completely open and honest in her communication, Jenny believes it is her dedication to a professional, seamless sales process that ensures the loyalty of her many satisfied clients. A fourth generation local, Matt has seen much change growing up on the Redcliffe Peninsula. After completing school at Southern Cross College and pursuing a Golf Apprenticeship, Matt developed fantastic customer service skills dealing with many different personalities through Golf clinics and private lessons. Matt then pursued a career in the Hospitality industry where he quickly moved into a management position, at 19 managing Spinnakers restaurant at the Belvedere Hotel. Matt then enjoyed the challenge of Hotel Management before taking up the role of Operations Manager at the Bargara Hotel just north of Bundaberg. Finishing in Hospitality at The Redcliffe Seabrae Hotel, Matt sought to combine his customer service skills with his long held passion for Real Estate.He achieved this by joining the award winning team at Harcourts Redcliffe. Thriving on the team atmosphere and great culture that is fostered by Lance Walsh, Matt is 100% committed to not only providing great service, but to also achieving the best result possible for his clients. Kelsey’s passion is customer service. She understands the key to great service is constant communication and streamlined processes. With over 3 years in Real Estate, her ability and willingness to adapt to an always evolving industry has provided her with the tools and skills to provide just that. Spend a little, Make a lot! Walk to Shops & Train! Great block in prime location! Lowset Brick - 607m2 Block!!! So Close to the Waterfront!!! Best Buy in the Bay!!! Your new home has it all! Are you Seeking a Solid Asset? You Can See The Sea! Come Inside & Be Surprised!!! A Family Favourite On 680m2!!! 907sqm Block - Great Buy!